Local beer events in the Pikes Peak Region and Beyond! 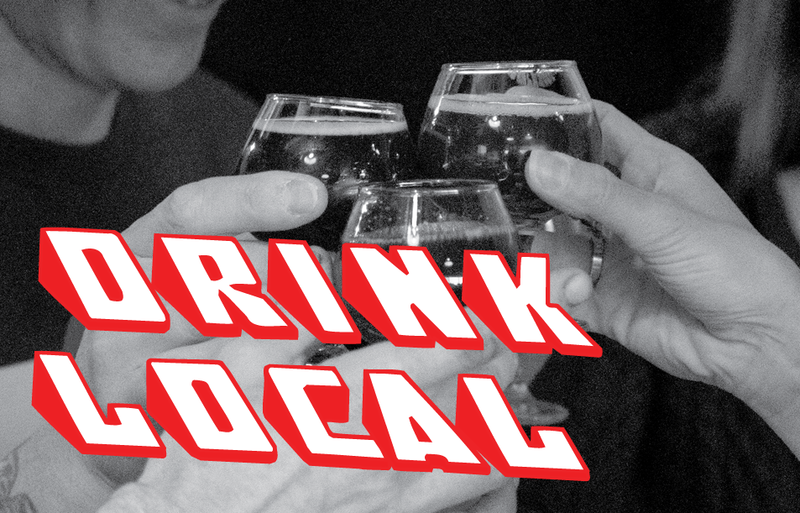 There are a bunch of great local and regional beer events coming up in the next two weeks, so if you’re looking for something to do beer-wise, definitely check these out! There’s something for everyone from our Meet the Brewer event to tappings, releases and one big festival. Venetucci Pumpkin Ale Release date has been announced! Also, see the bottom for a list of upcoming events that require reservations. at Front Range BBQ/2330 W. Colorado Ave.
We’ve been looking forward to this event since we first saw Ro Guenzel, head brewer at Left Hand Brewing, give a beautiful presentation about Smoked Beer at the Vail Big Beer Festival. Ro has a profound attachment to smoke and many of his specialty beers used smoked grain, smoked pepper, and the like. Smoke, of course, has a long history in the lives of humans; if you wanted to be warm, if you wanted to cook, if you wanted to brew beer, smoke was an inevitable part of the process. Brewers went to great lengths to remove smokey character in beer, but now many brewers are interested in ways to bring that character back into the beer. For our Meet the Brewer event on October 3rd, Ro Guenzel will tell us more about smoke and give a slideshow presentation about the many smoked beers that Left Hand creates. More details here. Trinity Brewing/1466 Garden of the Gods Rd. $3 pints of Trinity’s house IPA until it’s gone! It’s that time of year! Venetucci Pumpkin Ale PRESALE takes place in the hallway at Ivywild School (on the Bristol side of the Building). Lines started forming last year before Bristol Employees even got to work, and last year it was on a Tuesday! The Ivywild School opens up daily at 7:30am, so if you want a “piece of the pie,”we advise that you get there early and camp out! Bristol has a Facebook Event Page set up as well. Eddyline Brewery presents its first Brew Master Dinner of the year. Every first Monday of the month from October to May we will bring you an amazing feast of beer and food. If you’re thinking of making the drive, check their facebook event page here. As beer lovers from around the country gather in Denver to celebrate the Great American Beer Festival and the Denver Beer Fest, we thought we would give these beery visitors a taste of the great state of Colorado. Beers Made By Walking has invited seventeen breweries across the state to take a hike, literally, and then make specialty beers inspired by the edible and medicinal plants found along the trail. These seventeen beers, made specifically for this event, will be available for one night, Tuesday, October 8th, at Wynkoop in Denver. More details here. Tickets will be available at Wynkoop on the night of the event or you can purchase them in advance here. Join Bristol this Thursday, October 10, for the release of their RyePA and musical performance by The Myth of Modern Medicine. With its rich copper color and exquisitely hoppy nose, Bristol’s RyePA impresses at the very start. From there, bright, citrusy hop flavor takes center stage, set against a more subtle but solid malt profile. The rye malt lends its characteristic crispness, making this a highly refreshing addition to our Brewhouse Series. If you’re one of the lucky fans to have snagged a ticket for this years GABF, we’ll probably see you there, but if you weren’t able to snag a ticket, and want to join in on the fun, there’s tons of events happening in and around downtown Denver during the festival. To find out what’s all going on, here’s where to look. 5 courses paired with 5 beers. The beers include the Two Headed Dog 2IPA, Drie Molens Plum Saison, Pre-Prohibition Pilsner, Omar Santiago Vienna Lager, and Halloweenhead Pumpkin Ale. $50 per person, inclusive. Reservations required by October 10th. Call 719.635.2800 to RSVP. A limited number of bottles will be available for purchase at $6.99 plus tax per bottle (bottles may not be consumed in the tasting room).–There is a 2-bottle limit per person.–Pints will be available for $6.00 each.–Growler fills will not be available again this year so that the line will move faster and so there will be more beer to go around.–If the brewery sells out before you get some, don’t forget to try the liquor store. They’ll have some, too! 5 courses, $50 per person. Beers include: 7258 Blonde Ale, Fort Collins DoppelBock, Roller Coaster Red Ale, Oktoberfest, and Monumental Stout. RSVP here. Two Beer Dinners Coming up!